GET THICK GLOSSY FABULOUS HAIR FAST! All new mummy’s will experience hair loss after pregnancy. This happens because your hormone levels change when you are pregnant; causing your hairs to stay in a resting phase for longer. But, after you have given birth, your hormone levels will change and settle, causing more hairs to shift from the resting phase into the shedding phase. Some new mums find they are losing large clumps of hair at a time. But do not worry; here at Yummy Mummy, we understand how important it is for new mums to look and feel fabulous; that’s why we have created ‘Luscious Locks’ tablets. • Stimulates hair follicles increasing hair re-growth! • Get thicker, fuller hair! 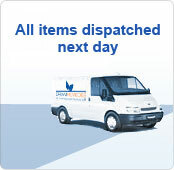 Get great results fast, with our clinically proven Yummy Mummy, Luscious Locks Tablets! 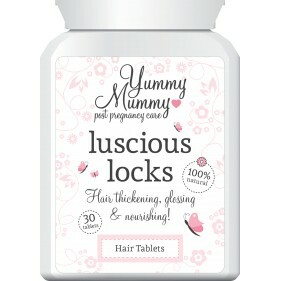 • Yummy Mummy Luscious locks tablets are a must have for new mums!